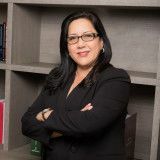 Justia Lawyer Directory Law Offices of Carmen G. Soto, P.A. Email Law Offices of Carmen G. Soto, P.A. Contact Law Offices of Carmen G. Soto, P.A.